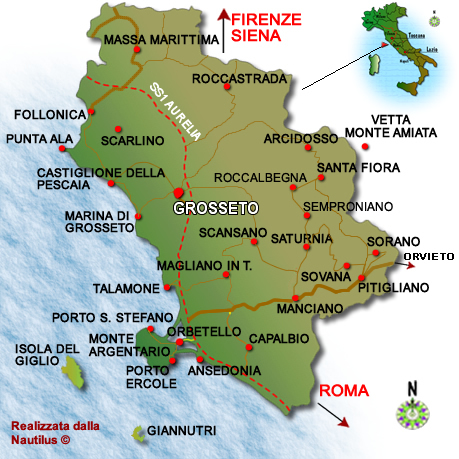 Map of Maremma and informations to arrive in Maremma by plane, car, train or boat. From north: by road SS1 Aurelia, or from Florence by road Florence - Siena and after the road SS223 Siena - Grosseto. From South: highway Rome - Civitavecchia, after continue on the SS1 Aurelia.